If you are looking for a heavy-weight vehicle, with a towtastic powertrain that will outperform the competition, look no further. The 2018 Chevrolet Colorado is equal parts strong and efficient. One look at this vehicle and you will understand why drivers and truck owners are bowled over. The 2018 Chevrolet Colorado is an off-roading dream. It’s not just it’s powerful diesel engine that has people talking. The EPA-rated 18-mpg highway number is staggering, and it proves you can have a powerful vehicle that is also fuel-efficient. It’s great when you own a vehicle that produces what you need to get the job done, and you aren’t also worrying about its carbon footprint. That is what makes the 2018 Chevrolet Colorado so exciting! It’s not just a typical mid-size work truck. This vehicle gives you the tools you need to work hard and play hard. The new 2018 Chevrolet Colorado offers a drive that is reliable, maneuverable, and easy. It’s not as big as its full-size half-ton counterparts. The 2018 Chevrolet Colorado makes driving a truck a fun, enjoyable, powerful, and rugged experience, and that’s a lot for one vehicle. That’s what you want in a work truck. You want available to you everything that can help you on the job in the same way a full-size work truck would, and without the stress of driving something heavy with tight steering and difficult maneuverability. The price point is just right also, making it easier to own, drive, and maintain. The 2018 Chevrolet Colorado ZR2 is a powerful, capable, and dependable midsize pickup truck. It’s also fully stocked with off-road technology combined with horsepower and engine capability you must see to believe. Paired with a Hydra-Matic 8L45 eight-speed automatic transmission the 308 horsepower and 275 pound-feet of torque make this a tour de force of a machine. The 2018 Chevrolet Colorado is a midsize truck to be reckoned with. Customers have the choice between two powerful engines, including a diesel engine option. The non-diesel engine is a 3.6-liter DOHC V6. This combined with the impressive gas mileage makes it such a great buy. Included in the diesel option is the Duramax 2.8-liter I-4 Turbo Diesel engine. When you pair this engine with a Hydra-Matic 6L50 six-speed automatic transmission, you get 186 horsepower and 369 pound-feet of torque! This all while still getting an amazing amount of gas mileage: 19 mpg/city, 22 mpg/highway. And did I mention that the 2018 Chevrolet Colorado ZR2 is an impressive off-road vehicle? The 2018 Chevrolet Colorado ZR2 can boast that they have the most off-road technology of any vehicle in its class. Its all-inclusive features that make it a leader in off-roading among its competition. This includes class-exclusive front as well as rear electronic locking differentials, Multimatic Dynamic Suspensions Spool Valve damper technology, cast iron control arms, rock sliders, modified front and rear bumpers, and a modified rear axle. This axle is complete with a 3.42 ratio. The 2018 Chevrolet Colorado also has a standard trailering package. This is with an integrated trailer brake controller. Cars.com found the 2018 Chevrolet Colorado worthy of its highest praise. A fan-friendly and popular mid-size off-road pickup, this truck is deserving of its Best Pickup Truck of 2018 award. It has seen rigorous testing, and it is considered a fun, reliable ride by customers and critics alike. It’s fun to drive, it’s technologically equipped, but is it pretty to look at? Yes. The 2018 Chevrolet Colorado can perform, but it’s also built to look good doing it. With the various equipment packages available, you are sure to find the vehicle that is appealing to your finer tastes. 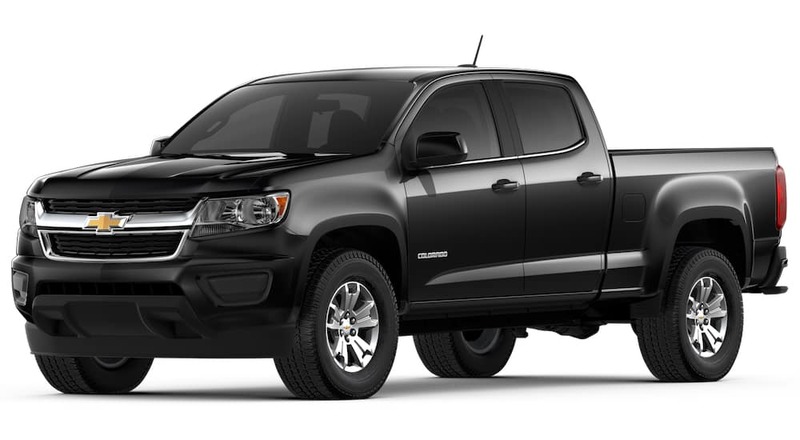 The new 2018 Chevrolet Colorado saw the addition of black leather-appointed seating in the Z71 trim level package. Previously, this gorgeous look was only available with cloth or faux leather seating. Chevrolet knew its customers were looking for something more stylish, less work more play, so they included and expanded the availability of the Shoreline Special Edition Cloth and Luxury packages on crew cab models. This is also exciting since this upgrade was previously only available on the Extended Cab models. But you won’t believe how many colors are now available for the 2018 Chevrolet Colorado. The 2018 Chevrolet Colorado has exciting exterior colors with two interior color combinations available. These are those colors: Red Hot, Satin Steel Metallic, Silver Ice Metallic, Summit White, Black, Kinetic Blue Metallic, Deepwood Green Metallic, Graphite Metallic, Cajun Red Tintcoat. The 2018 Chevrolet Colorado is productive and flexible. That’s just what you need in a work vehicle right? Chevrolet made a ton of new updates to features with this model, and it’s no surprise that it’s already winning awards and considered one of the best. The 2018 Chevrolet Colorado received the following changes, updates, and new features, that make it not just great for work, but for play too. First, the 2018 Chevrolet Colorado saw the replacement of their IO3 AM/FM stereo with a 4.2-inch diagonal display. This is now standard with the IOB Chevrolet My Link Radio. This high-tech feature includes a 7-inch diagonal color touch-screen, USB ports, and auxiliary jack. This also includes Bluetooth streaming audio for music. This is the best part: most phones including Android Auto and Apple CarPlay are compatible even on the base and WT trims. The 2018 Chevrolet Colorado LT, Z71, and ZR2 trims all have the sought after IO5 MyLink infotainment system. This system also includes an 8-inch touchscreen. Buyers also have the option of getting the IO6 unit which aids in navigation. So, the interior is full of new gadgets, that’s fun, but you might be more interested in features that help in its towing capacity and trailering assist. Well, these high-tech features include Tow/Haul mode, included on models with both the LGZ and diesel engines. The 2018 Chevrolet Colorado has all-important updated power-adjustable outside mirrors, which aid in the movement of the vehicle for backing in and out. When you are moving a trailer towing a heavy load, visibility is key. 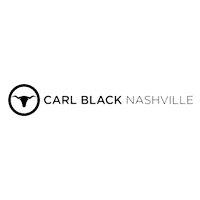 We believe in the most excellent customer service at Carl Black Nashville, and we always put the customer first. Whether it comes to finding the right deals, the car of your dreams, or simply getting an idea of what you can afford and what is available to you, we are here for you. We want to get to know you personally. We want to figure out what your needs are when purchasing a vehicle. Shopping for a pickup truck means you have your priorities and goals in mind and we want to help you reach them. At Carl Black Chevrolet of Nashville, we want to assure you have the best shopping experience possible. We have a great inventory of high-quality vehicles from top automakers. We put each vehicle through a stringent inspection process. We want to earn your trust.